Shannon joined Grand River Sports Medicine in 2004 after graduating from the Canadian College of Massage and Hydrotherapy (Kitchener). Since graduating, she has treated a variety of injuries occurring from both sports and motor vehicle accidents. 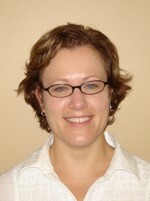 Shannon is a graduate from the University of Guelph (1997) and the Athletic Therapy Program at Sheridan College (2001). As a Certified Athletic Therapist, she has provided medical coverage for sports teams within the community. She is also part of the GRSM team providing coverage for the Classic Mile and the Run for the Toad. In her spare time, Shannon enjoys playing squash, baking, scrapbooking, and card making.